Salam..hari ni 19/7/2012, tinggal sehari saja lagi umat Islam bakal menyambut Ramadhan..semoga Ramadhan kali ini membawa 1000 keberkatan pada kita semua..Lazimnya pada bulan puasa ni orang selalu risau diri akan letih, mengantuk..tambah2 kalau tak sempat sahur kan? Jadi pastikan kita ambil makanan yang berkhasiat dan dapat memberi tenaga sepanjang hari supaya kita kekal cergas.. These little wonders of nature hide under their vivid green skin, the entire complex of B vitamins as well as magnesium and iron. These vitamins and minerals can be found in all green vegetables, the leaders being broccoli, asparagus and spinach. Broccoli is an excellent resource of Q10 coenzyme the most important regenerative factor for the cellular activity. The lettuce and cabbage are rich in vitamin C and the carotenes responsible for maintaining the quality of our vision as we grow old. The so popular green vegetable salad is not just a Hollywood myth initiated by the gurus of “let’s get slim fast” theory.The constant intake of green vegetable in a raw or steamed form guarantees a high amount of healthy energy. The most advertised means of a energizing breakfast, the whole cereals are responsible for an energetic start of the day. The carbohydrates and sugar in them is released gradually during digestion and that is how these smart drops from the nature’s energy boost can help a person stay sharp and still be responsible with their diet. The cereals are also an important source of B vitamins and are responsible for a good functioning of the spleen, the body’s energy battery. These magical green leaves that seem so benign, when considering the nutrition factor, are a vitamin C bomb. The green parsley leaves have more vitamin C than the citrus fruit. As unbelievable as it may seem introducing them in a person’s diet boosts up the level of cell regeneration and helps the body get more energy. It is common knowledge that fruits are a food group that guarantees an energy intake due to the fructose level and the vitamins they all carry. The most energizing fruit are grapes, peaches and citrus fruit dew to their high fructose content. The most fruits have a large content of vitamins, predominant C and through it a large energetic potential. Of course the fruits can be replaced by fruit juice under the condition this is home made not bought from the supermarket. Of course the bottled juice gives energy but because of the sugar addition, after the sugar rush it produces, the energy disappears very fast. Most of the seeds such as sunflower and pumpkin are very rich in proteins and minerals and their presence in a person’s nutrition is an important source of energy. These little seeds are also a source of magnesium and iron. The polyunsaturated fats they contain are benefit for the cardiovascular system and help the blood flow to the heart and brain. All nuts from peanuts to pistachio are an excellent source of minerals with a high nutrition factor. They contain vitamins A, B and E, potassium, calcium, magnesium, phosphorus and iron. 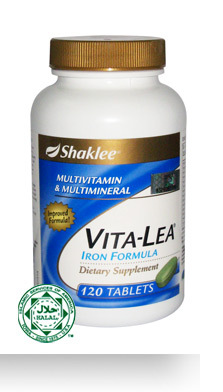 They fight against anemia and bring the body durable energy. The smart combination of fruit juice and milk is always a source of energy. The combination of vitamins and calcium increases the body’s energetic potential and it is also a very refreshing helping hand when you get extra tired while working. The ancient source of energy that comes from the Asian countries has conquered the occidental shores creating a rave of fashion. This green elixir is a source of antioxidants and an important resource of energy for the entire body. During the last years it became quite a trend and has been made popular all over the web and media. 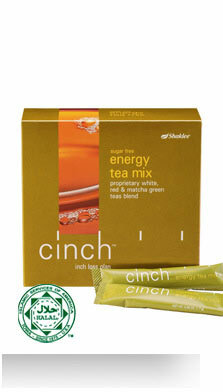 Apart from this trendy movement the green tea remains one of the top nutrition elements in providing energy. The “sweetness of the world”- honey maybe the most popular food ever since the concept of “healthy” became an issue in the nutritionist’s conversation. The best energetic content in a food item is the one provided by honey. Used as a sweetener for tea and coffee or other hot drinks, or simply consumed as it is, it becomes anenergy pill that helps the body regenerate and be more alert. Recently, the honey was introduced in packed cereals, in power bars and in a large variety of energy drinks. It is only natural that the brain’s “alarm clock” should be on top of the nutrition energy providers. Coffee is known to boost up the attention, increase the brain activity, and improve the disposition. It’s pretty much our own adrenalin shot available in a hot steaming cup. Kalau perasan, semua makanan yang disebut kat atas tadi full of vitamins, minerals, karbohidrat dalam bentuk gula ringkas (fructose-lebih senang diserap oleh sistem badan), protein dan serat. Sangat penting untuk memberi rasa kenyang dan tenaga yang berpanjangan..
Boleh juga add ESP kerana ESP dpt memberi rasa kenyang dan tenaga yang berpanjangan. Satu hidangan ESP ini bersamaan dengan 2 kali ganda daging, 4 kali ganda telur, 12 kali ganda susu dan yang paling penting ianya rendah lemak, tiada kolesterol, tiada uric acid, dan sangat mudah diserap oleh tubuh manusia. untuk kesihatan tulang dan gigi. Asid Dokosaheksanoik (DHA) dan Asid Eikosapentanoik (EPA) merupakan asid lemak 3 yang ditemui dalam ikan laut dalam. DHA dan EPA dipercayai mampu mengurangkan keradangan, menggalakkan fungsi otak, sistem saraf dan fungsi mata yang perlu diperolehi melalui pemakanan.Shaklee OmegaGuardTM merupakan makanan tambahan yang mengandungi minyak ikan. 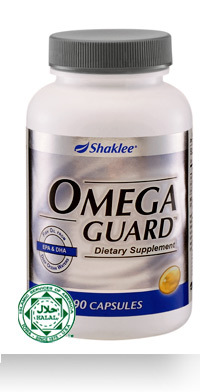 Satu hidangan OmegaGuardTMmenyediakan 1000mg asid lemak omega 3 termasuk DHA dan EPA. Teh eksotik putih, merah dan hijau matcha dipetik dan diadun dengan berhati-hati untuk mewujudkan minuman luar biasa hebat. Ia dapat meningkatkan tenaga secara semulajadi dan rasa nyaman.• Selamat, peningkatan tenaga semulajadi. Diminum secara panas atau sejuk. Previous Post RAMADHAN & SHAKLEE: Nak tahu set yang membantu anda di bulan ramadhan nanti? Buah tunjuk langit mempunyai nilai perubatan yang tinggi, disahkan melalui kajian saintifik oleh ahli Biokimia Amerika, Dr Larry Brookes (1996). Kebelakangan ini ia telah digunakan oleh pakar perubatan dan doktor dalam bidang perubatan dan diiktiraf sebagai antara makanan kesihatan terbaik. Swietenia Atau pun dipanggil buah tunjuk langit merupakan genus pokok dari keluarga chinaberry, Meliaceae. Genus ini dinamakan sempena nama seorang doktor Austria – Belanda Gerard van Swieten (1700-1772).